Used to set the function of the left footswitch to either Mute or All Wet. 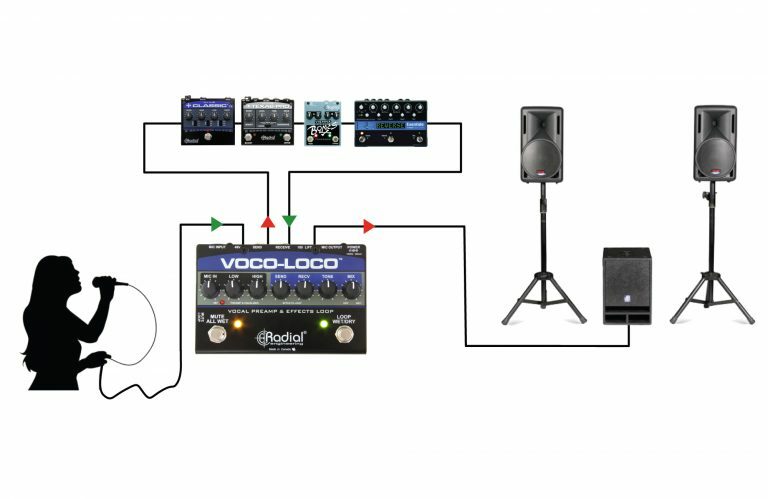 Sets the input level of the Voco-Loco’s mic preamp. Footswitch activates the MUTE or ALL WET function. Dual band shelving EQ is used to add bass to warm up the voice or add sparkle for extra cut. Individual send and receive controls let you adjust the level going to the pedals to optimize signal-to-noise and reduce distortion. 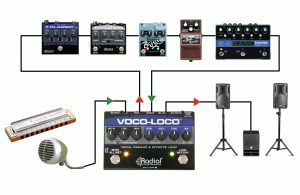 Lets you tame the sound of the effects return path to soften the harsh tone certain pedals produce. 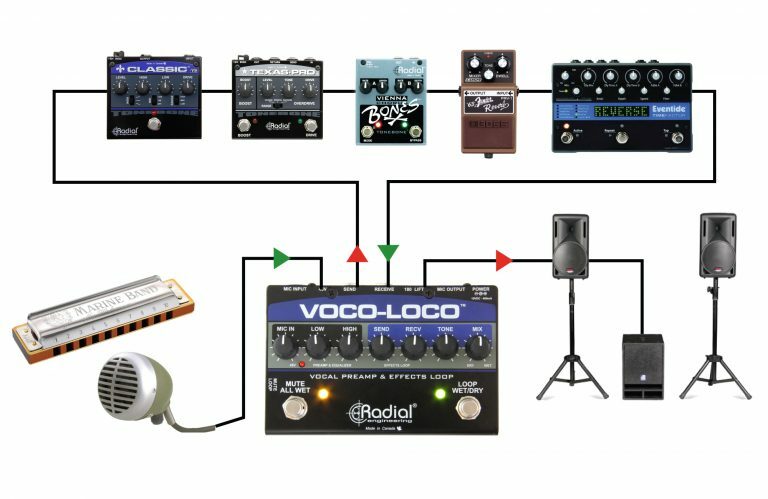 Primary footswitch turns on or off the effects loop with wet/dry mix engaged. 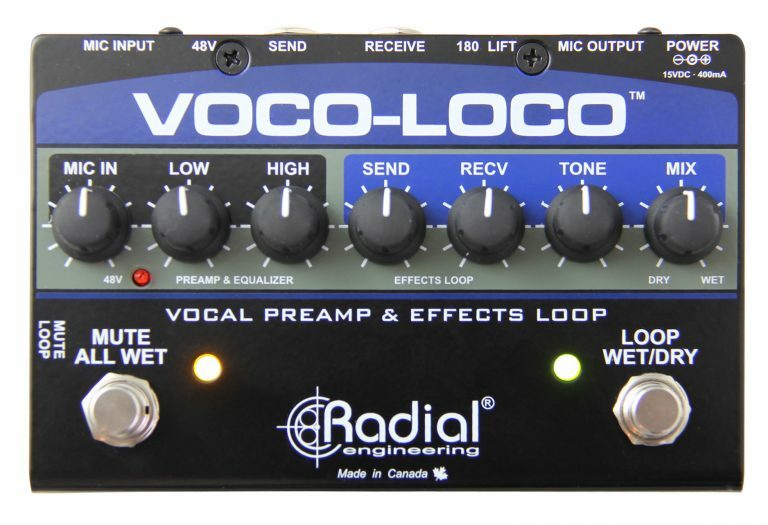 Sets the wet/dry mix between the original unprocessed vocal sound and the effects loop. 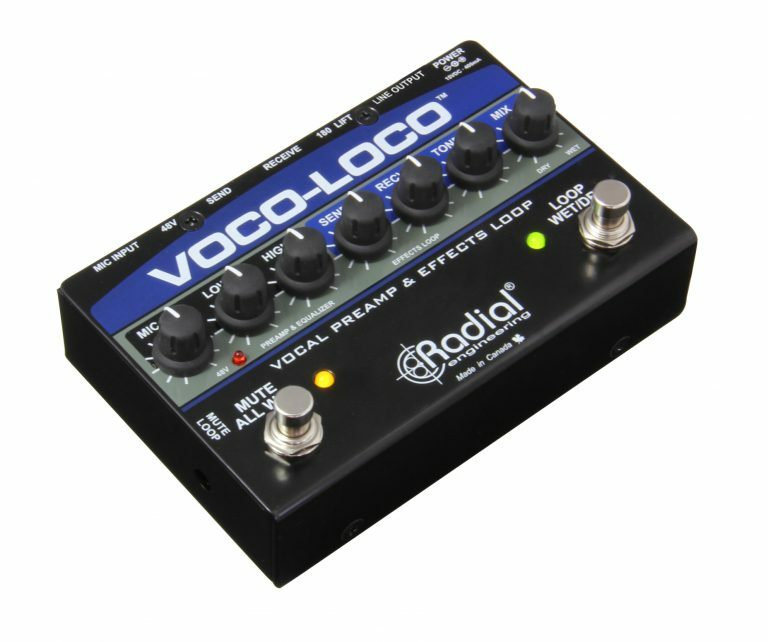 Voco-Loco comes with an external 400mA 15VDC supply for powering. 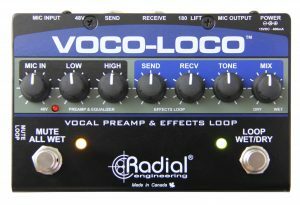 Standard XLR male output, used to connect the Voco-Loco to the line input of a mixing console. 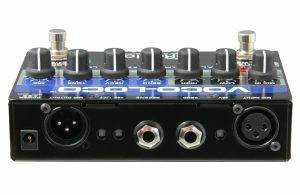 Used to help eliminate ground loops by lifting pin-1 on the XLR. 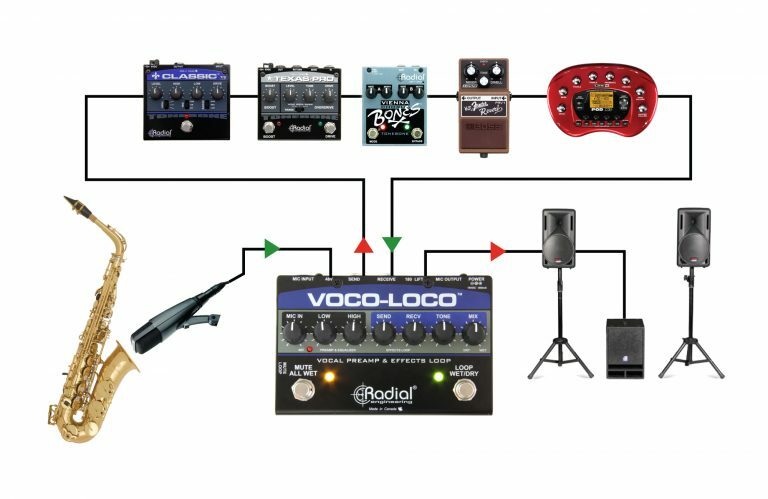 Used to reverse the polarity of the effects loop to ensure guitar pedals are in phase with the vocal mic. 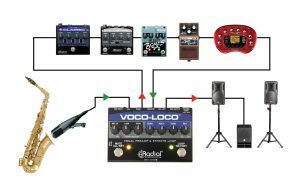 Unbalanced ¼” jacks used to send the mic signal to the guitar pedals and back into the Voco-Loco. Recessed switch turns on the phantom power when using the Voco-Loco with a condenser microphone. 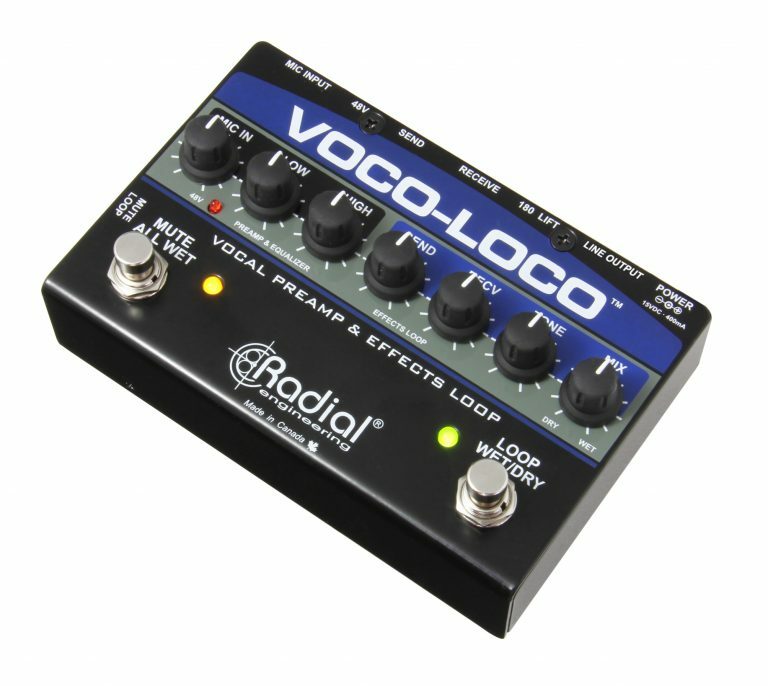 Standard XLR female input, used to connect your microphone to the Voco-Loco. Heavy duty construction eliminates stress on the PCB and provides excellent shielding against magnetic fields and RF which otherwise could introduce noise.